The most dangerous part of the road between Athens and Thessaloniki, the Tempi valley, is bypassed with this work, Greek Prime Minister Alexis Tsipras said on Thursday during the delivery ceremony. It is replaced by a short road that meets the latest safety standards, he underlined and added: “The delivery of this part of the road completed the Athens-Thessaloniki motorway whose construction started 70 years ago. “These works belong to the Greek people,” Tsipras underlined. 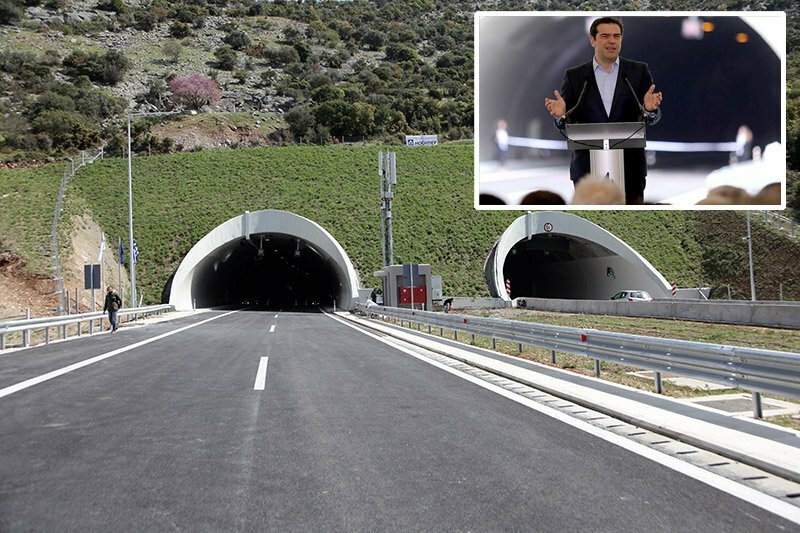 Today the Athens-Thessaloniki motorway becomes a reality, Infrastructure and Transport Minister Christos Spirtzis on Thursday said during the ceremony for the delivery of the new tunnel at Tempi Valley and the Maliakos-Klidi section of the Patras-Athens-Thessaloniki-Evzoni motorway. The new tunnel at Tempi Valley and the Maliakos-Klidi section of the Patras-Athens-Thessaloniki-Evzoni motorway is not only a work of the present, but a work of the future generations, European Commissioner for Regional Policy Corina Cretu said on Thursday.It is a Herculean feat achieved with the contribution of European funding, Cretu underlined. The trip between Thessaloniki and Athens is now faster and safer and the two cities are coming closer, but also closer to Europe, she added. The Commissioner stressed the importance of showing solidarity adding that the cohesion is what keeps the Europeans united.